Sometimes the proportions of the face can appear off balance. Facial implants help to reshape the face and offer some symmetry with added volume. Restore a more youthful look to the skin and shape your natural facial features with facial implants at Coastal Plastic Surgeons. If you’re unsure about whether or not you could benefit from this treatment, we have many patients that come to us to help correct weak chin, irregular jaw and sallow cheeks. We offer implants for all of these areas that need assistance. This is a 44-year-old female who had the appearance of significant aging of her lower eyelids and she felt that her cheekbone areas were sagging. 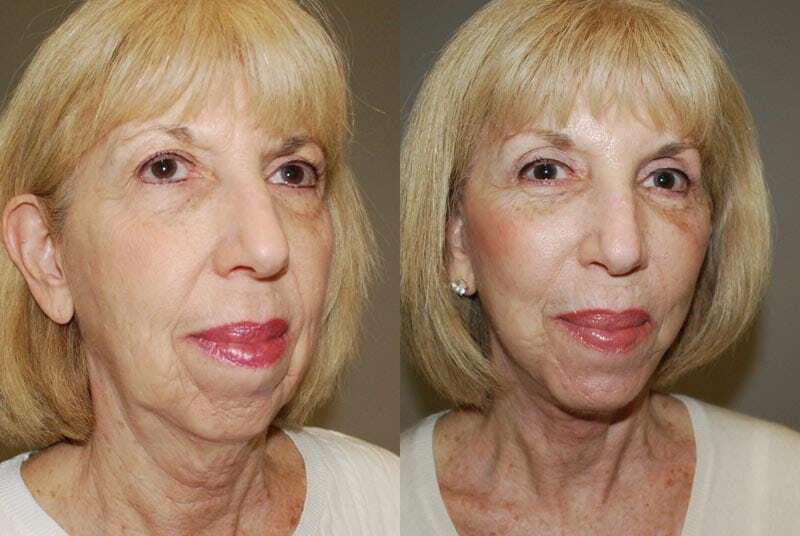 She underwent placement of cheek implants and lower lid blepharoplasty. Overall, she is very happy with her outcome and better facial balance. 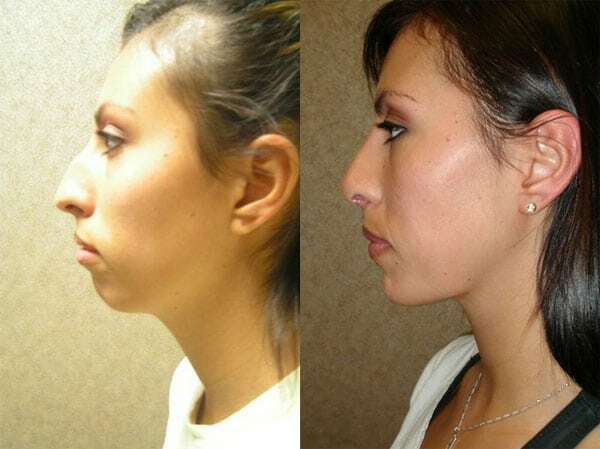 This patient underwent augmentation of the chin to balance her face. The implant was placed through an incision inside the mouth. This photograph was taken one year after surgery showing nice balance and good result. This 24-year-old felt that the lower part of her face was not in balance with the rest of her face. She underwent a sliding genioplasty procedure. With this procedure, a small incision is made inside the mouth and the actual bone of the chin is moved forward without moving the teeth. 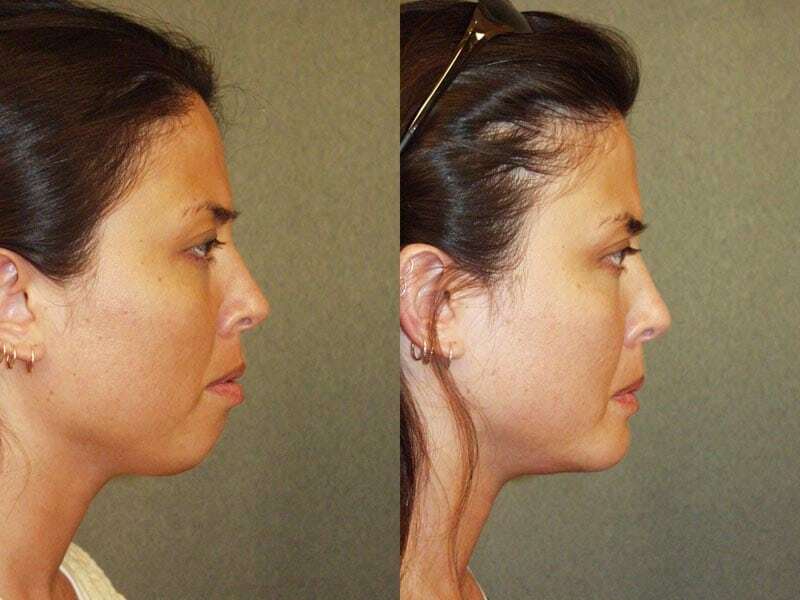 This photograph shows better facial balance and this patient is very happy with her outcome. 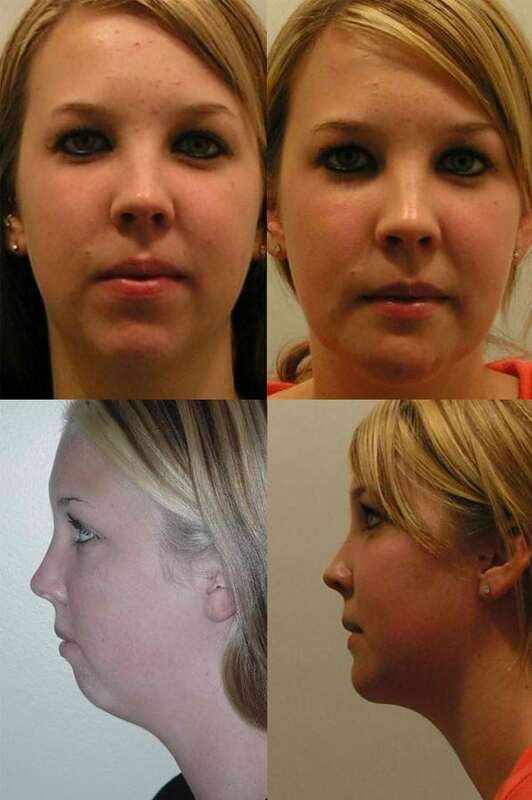 This is a 17-year-old female who underwent augmentation of her chin for better facial balance. As you can see in the profile view, there is much better symmetry and balance. She is very happy with her outcome. 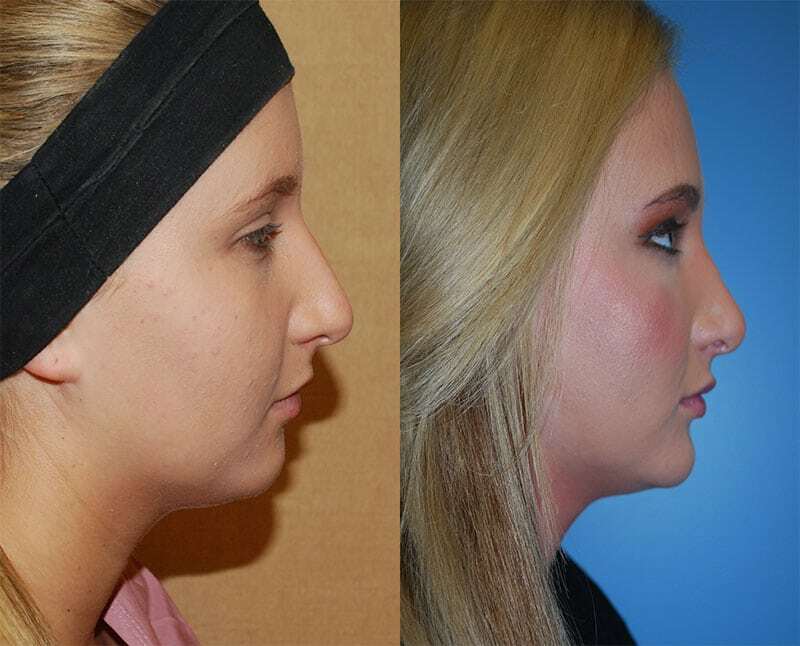 This patient underwent a hump reduction from her nose as well as a small chin implant for better balance. This photograph was taken six months after surgery. She is very happy with her outcome. This is a 19-year-old female who wanted the appearance of better structure in her cheekbone area. 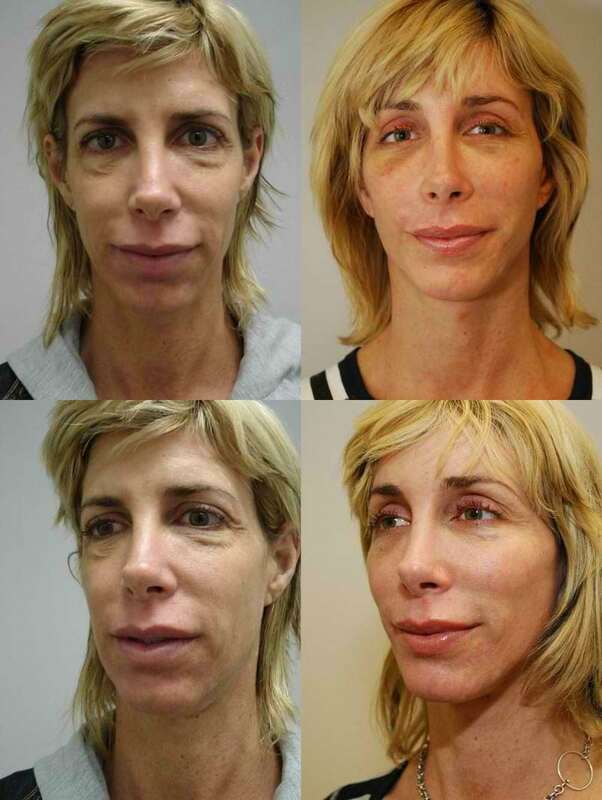 She underwent placement of cheek implants to better define her cheekbones, as well as a rhinoplasty. Overall, she is very happy with her outcome. This photograph was taken three years after surgery and shows an excellent long-term result. 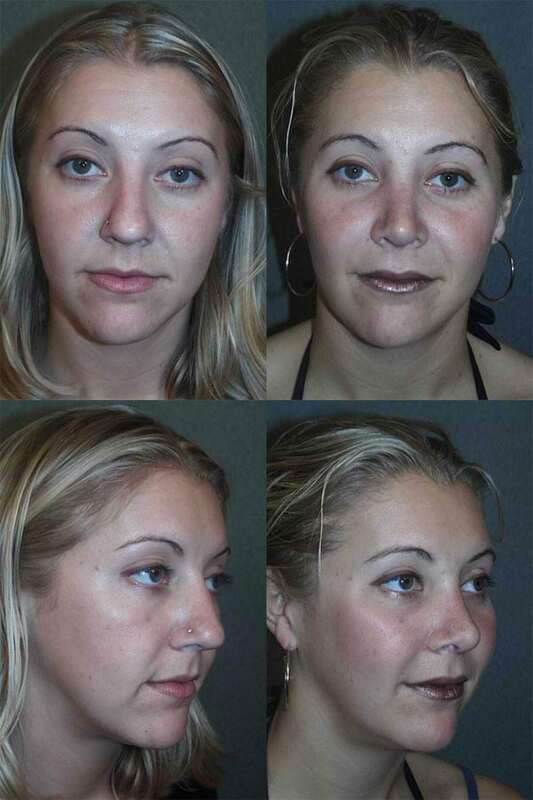 This patient underwent a chin augmentation and rhinoplasty. 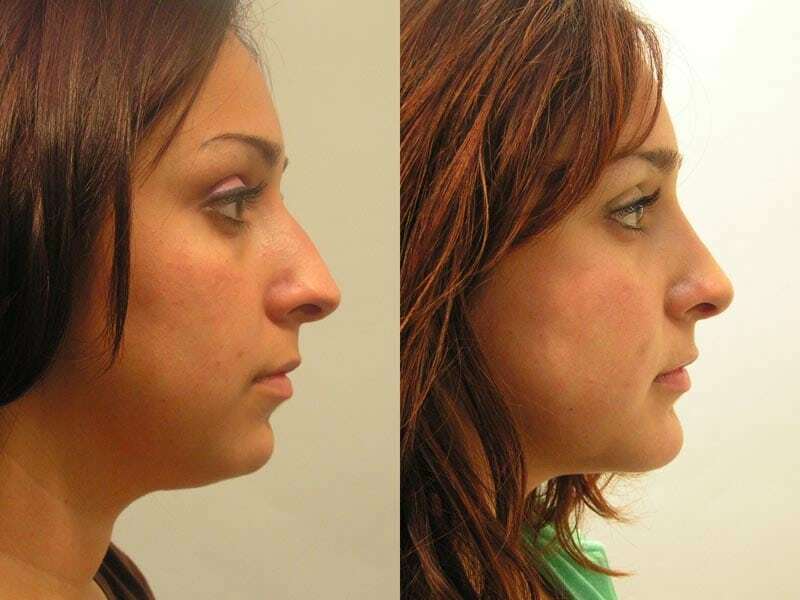 As you can see, both procedures have provided her better facial balance and nice overall result. 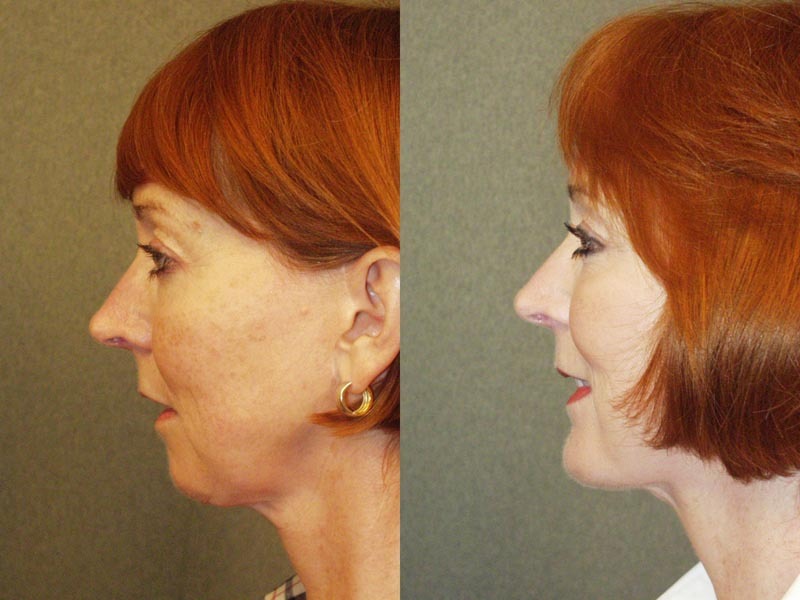 This 67-year-old woman underwent a facelift, neck lift, and chin augmentation. This photograph was taken six months after surgery. You can see nice facial balance and contour to her chin and neck line. She is very happy with her outcome.